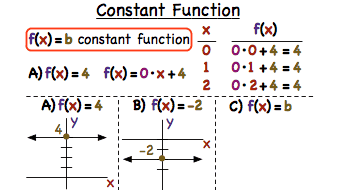 What is a Constant Function? Have you ever seen a horizontal line? Then you've seen a constant function! This tutorial introduces constant functions and shows you examples of their equations and graphs!